We have commemorative bookmarks, stickers, stationary, and other ephemera related to the projects of the Mount Zion Memorial Fund. In exchange for donations, we will gladly send you some items from our inventory. 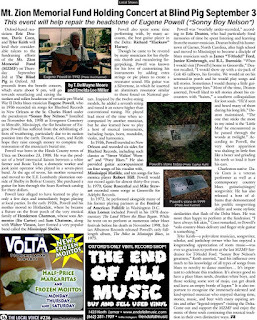 On September 3, 2015, the MZMF is sponsoring a benefit concert to repair and raise the sunken and sullen grave marker of Eugene Powell, aka Sonny Boy Nelson, at the Blind Pig in Oxford, Mississippi. Local-based musicians Eric Deaton, Davis Coen, and the eminent Tyler Keith will perform at the event. 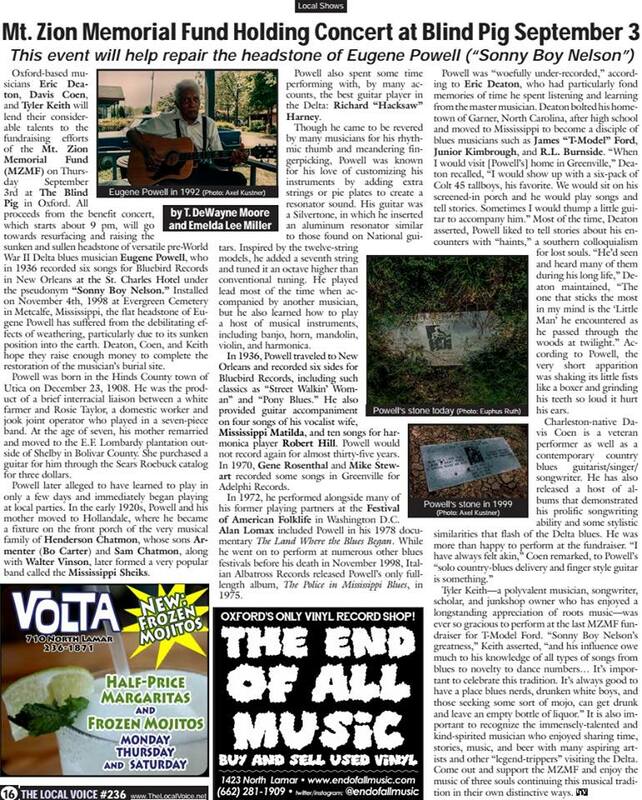 Special thanks to Rebecca Long Snow at the Local Voice.